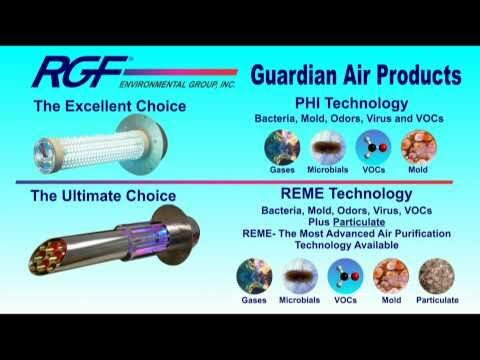 Guardian Air and REME air purifiers have the proactive ability to kill germs and reduce odors in a conditioned space. These units don’t need the pollutants to travel through the ductwork to be neutralized. Every time your fan blows air it carries the purifying power of natures “Friendly Oxidizers” out into the conditioned space where they begin to attack the Bacteria, Virus, Mold Spores at the source and reduce odors in your home. Used by U.S. Government, schools, hospitals, cruise ships, restaurants, daycare centers, commercial buildings and residential homes. Enhanced indoor air quality and air flow. 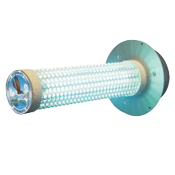 Kills bacteria & mold growing on the indoor coil. Increased comfort. You can enjoy a home free of odors that are caused by the growth of mold and mildew in your heating and cooling system. Improved health. 50% of illnesses (such as colds and flu, allergies and asthma) are caused or aggravated by mold, mildew, bacteria and fungi, according to the American College of Allergists. Equipment Protection. Mold and mildew can accumulate on your heating and cooling system making it work harder and longer. This can lead to untimely repairs as well as the need to replace your system long before you should have to. 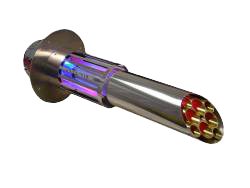 Improves system efficiency, providing energy savings. Saves you money on your utility bills by allowing your home comfort system to run less often, for shorter periods of time and at peak efficiency. 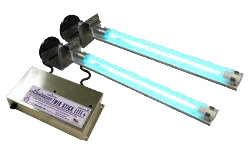 Modern air purifiers and UV Germicidal lights can improve your health and safety by eliminating molds, bacteria and germs from source and recirculated air, keeping your entire home cleaner and healthier.